If you are unable to attend the live webinar, or would like to review it, you can watch the recording below. This demonstration will go through the process of remodeling from beginning to end. The project will start by capturing as-built measurements using the Room Planner app and importing them into Home Designer. 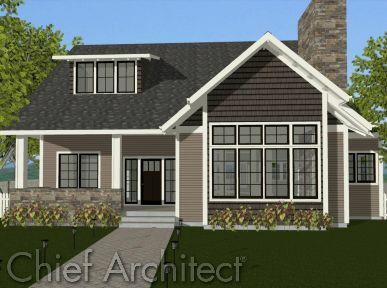 Next, the project will cover remodeling to add a dining room, finish out a basement, add a Master Suite, expand the garage and conclude with creating construction documents. This demonstration will go through the process of creating a kitchen layout from beginning to end. We will review how to fully edit and customize cabinets, appliances, and a kitchen island. A custom ceiling design will be created, as well as pantry structure within the room with a shelf ceiling. You will also become familiar with the electrical tools, lighting options, materials and various camera views available within Home Designer Software. The Quick Start webinar is a quick and easy way to get started or learn about the software. In this demonstration, we will go through the complete process of drawing a plan, designing a kitchen, adding a roof and framing, and producing construction documents. You will also learn about additional resources to further your knowledge of the software. The webinar is intended for new, intermediate, and soon-to-be users. This demonstration will focus on designing a master bathroom. The demo will cover preparing a floorplan, vaulting the ceiling, designing cabinets, adding a glass shower, and creating material options. We will then go through sharing the 3D model with others by using the 3D Viewer mobile app. This webinar will focus on Home Designer&apos;s automatic roof tools and will go through the basic concepts behind designing a roof, and how to create simple roof styles such as hip, gable, gambrel, shed, and more. We will then apply these concepts to a sample plan. 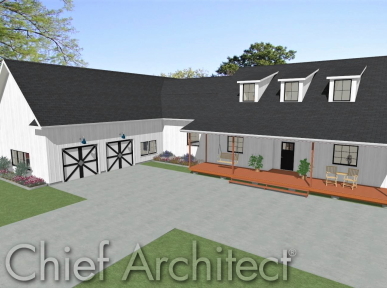 This webinar will focus on the manual roof building tools in Home Designer Professional. We will go through drawing roof and ceiling planes manually, and design several different roof styles including a Dutch Gable, a Clerestory, and manually creating dormers. Lastly, we will cover the roof framing options available in Home Designer Professional. This webinar will go through the process of creating a landscape design. This demonstration includes how to position a house on a lot, adjusting terrain elevations, and adding a setback. We also show how to build a fence, driveway, sidewalk, deck, and swimming pool. We will then add plants, trees, and outdoor furniture. 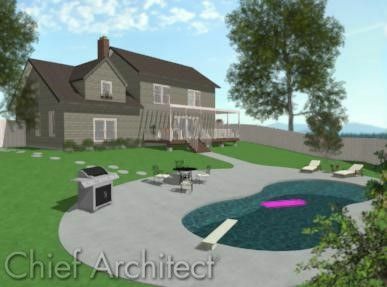 Please e-mail sales@chiefarchitect.com or call 208-292-3400 if you have any questions, comments, or suggestions.